PPerfect for leisure and business travelers alike, the Comfort Suites of Norwich features an indoor pool and spa, breakfast buffet, free WiFi, exercise room, sauna, sports bar with free nightlly snack, and true New England hospitality. Free shuttle service is offered to the Mohegan Sun Casino. 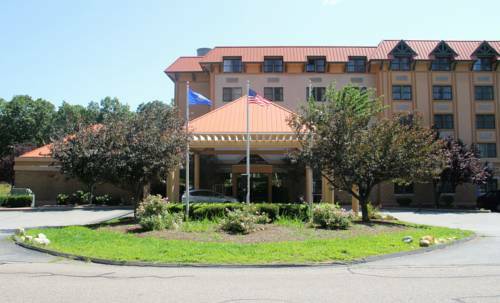 The hotel is also convenient to Foxwoods, Mystic Seaport, Groton Submarine Base, and other area businesses and attractions. All Comfort Suites are smoke-free. An over-ornamental design made this slab a sensation among the dour Puritans. It's in corner of the historical society museum in Bristol's old jail.